Producing a fast car which cannot go out on the street is slightly easier than constructing a vehicle that is street legal and can get out of your sight in a few seconds. The fastest street-legal cars on the planet are made by renowned carmakers such as Bugatti, Ferrari, McLaren, and Lamborghini, but there are some less known like Saleen, Hennesey or SuperCars. We provide the list of the top 7 fastest cars that can be driven on the streets, and the slowest model develops the speed of up to 240 mph, whereas the fastest reaches ludicrous 270 mph. Let’s check it out. The Hennessey Venom GT has made it to this exclusive list, and the carmaker can be really proud of what they have accomplished. 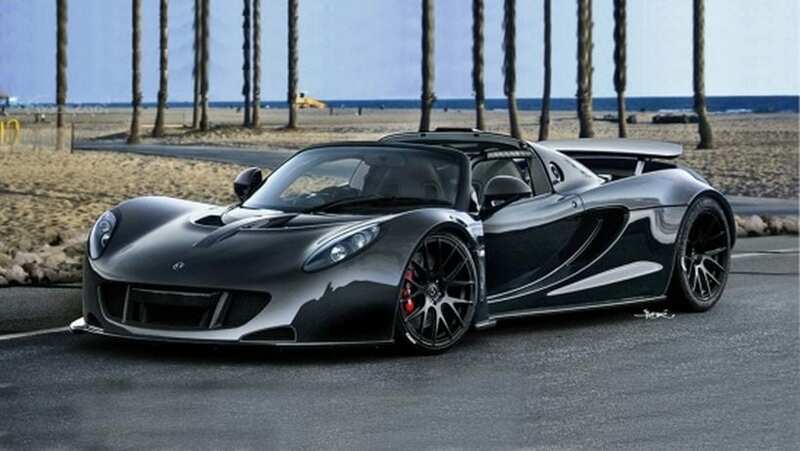 The Venom GT costs $1.4 million and underneath the hood is a V8 engine good for 1244 horsepower. It is an output you rarely see in cars, but thanks to it, this beast can go from 0 to 60 mph in just 2.7 seconds. Recently the Hennessey Venom GT has claimed a top spot over Bugatti with a max speed of 270 mph, making it the fastest street-legal car on Earth. However, have in mind that this record hasn’t been officially confirmed.